It should never be selective National Service ever again: Either all in or none in ! Tim Fischer AC , Author, Former Deputy PM, ex Ambassador and Federal Nationals Leader. Fifty years ago National Service selective balloting commenced in Australia to pick out a cohort of young men turning twenty and send them into the Army for two years. One hundred years ago Conscription referenda were considered in Australia, fiercely debated and ultimately defeated at the height of World War One. It is never an easy issue for vibrant democracies to handle, with the compulsion element clashing with the spirit of freedom dimensions of democracy, plus the always difficult to define and administer aspect of “Conscientious Objection” overarching all, in times of war. In a democracy, it for the Executive to propose Conscription or National Service, the Parliament or Congress to consider and pass into law the requirements involved, sometimes involving the people by way of referendum. It is then implemented with lashings of anti-democratic compulsion – all in defence of the nation state same said democracy. Generals are not meant to buy into political fights but Birdwood (British Indian born AIF GOC, later made an Australian Field Marshal in 1925, ahead of Blamey and Prince Philip) was asked to make a statement in favour of a ‘Yes’ vote and for that to be widely distributed through the AIF. Eventually the soldiers voted in October 1916 and back in Australia, the vote was held on the 28th October but the overall count mounted to a narrow loss for Hughes, 48% to 52%, a margin of 72,476 votes: Yes 1,087,557 No 1,160,033 and a repeat exercise in December 1917 saw the No vote margin more than double to 166,588 votes. The official results for the 20 December 1917 referendum was: 46% to 54 % so in total Yes 1,015,159 No 1,181,747. In each referendum, it was single digit percentages deciding the NO results, it had been close but ultimately tested twice after detailed debate and the answer was NO. The Australian vibrant democracy of the era had rejected conscription in the darkest days of World War One, to quote W M Hughes, egged on by that meddlesome Irish prelate, Archbishop Daniel Mannix of Melbourne. Recently through the good book “Politics and Sacrifice” about the war service of NSW State Parliamentarians, I learnt of the extraordinary story of Ambrose Carmichael MC MLA, 1871 to 1953, who grew up on the Lachlan, elected for a Sydney seat (Leichhhardt) in 1907 as an ALP member, then he resigned as State Treasurer in 1915 to enter the Army as a private in the 36th Battalion. He personally rallied enlistments for the war, two lots of one thousand and he favoured conscription . In 1919 he resigned from the ALP over their opposition to conscription. In 1920 he failed to win back a seat in the NSW State Parliament. It should be remembered every AIF member volunteered for World War One, including the 414 AIF Chaplains who I dedicated my Monash book to and the 61,000 who lost their lives - many towns and suburbs were decimated. Despite the efforts of Ambrose Carmichael, it seems the majority of diggers did not want conscription and the nation was of two minds but ultimately voted narrowly against the compulsion involved. Fifty years later selective National Service was introduced in 1965 with some early push back. It was as Vietnam was unfolding with this difficult and controversial war leading to massive rallies, demonstrations and moratoriums. The Coalition Government was able to get the necessary approvals through the Parliament, the standout feature was a so called random ballot to select some but not all males as they turned twenty years of age. At the time I thought the same number of balls or marbles marked with a particular date for the six monthly ballots were placed in the barrel for each day of the relevant six month period. I no longer think this is the case. It appears that after the Department of Labour and National Service and the Army reviewed the trades and experience and education of each registrant, some dates were then overloaded with marbles to ensure the right talent mix was called up. On the 4th December 2014, I handed a clipping from the Canberra Times of 3 December 2014 direct to the Attorney General George Brandis in his office at Parliament House, in his capacity as head of the Office of National Archives. He assured me he would ascertain an answer to the simple question: Was the National Service ballot stacked in favour of certain pre- determined dates or not ? Well I have heard back from National Archives, see postscript. Whatever the real story associated with National Service 1965 to 1972, it changed my life and it changed all the lives of those called up, some sadly making the ultimate sacrifice. In my case I had to mature quickly, after Kapooka and OTU I was soon a Platoon Commander and Transport Officer with 1 RAR, dealing with a huge raft of man management problems and the requirements of raw leadership by a raw junior officer, on exercise then in Vietnam on operation but also in base camp. It has to be said that maybe National Service will be required again, in this very troubled world of the second decade of the Twenty First Century. If so then the only fair way to proceed is surely to ensure all twenty year olds, both male and female, are called up for National Service. 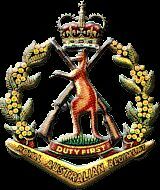 After the Navy, Army and RAAF have filled their needs then the remainder should be employed for Peace Corps type duties at home and abroad. This is expensive but it is the only true way to be fair and just. Of course usual and carefully defined “Conscientious Objection” provisions should be retained. The Government of the day and the Parliament of the day will always be reluctant to go down this path because of the costs involved, also the career disruption to many with its own economic impact and also because in this century the real politik is that it would have to involve male and female -with all the complications attaching. However who can rule out for ever that it may in fact be necessary in the distant future. The war against terrorism generally has already extended beyond the combined length of World War One and Two, kicked along by that White House George Bush Junior and Downing Street Tony Blair led decision to invade Iraq in 2003. This indirectly resulted in the advent of the powerful ISIS caliphate holding brutally much territory in both Iraq and Syria today. To digress, if Lawrence of Arabia and also the phenomenal UK “Agent provocateur” Gertrude Bell had won the day at Versailles, back in 1919, with sensible boundaries and nation state creations for the Middle East sans France, then we would be better placed today. However the forces against ISIS and terrorism will win eventually – I am confident of this. I reiterate though, you cannot rule out the need for National Service at some time in the future and when that times arrives, all things considered, it would be best done on the basis of all in or none in, both male and female. Australia is a vibrant democracy, warts and all and this Conference today is a reflection of this and a helpful platform to ensure we learn from our history and never ignore our history, to do so as others have stated would be to do so at our peril. It seems the National Service Ballot was not formally stacked but may have been stacked on the margins as - in short - not all were taken that had registered for a particular birth date drawn out in the twice yearly ballot. I reiterate and emphasize not all registrants whose birth dates were drawn were called up in the twice yearly ballots (even allowing for health and other declared non call up or exempt categories), so it appears some person within the system played God big time. Further, note 1 Jan to 30 Jun 1946 births, the month of May saw 13 days drawn out including mine but only 4 for albeit the short month of Feb, still this is almost beyond random possibilities. Now read on and all dates drawn are listed at the bottom for the actual ballots 1965 to 1972. Between 1964 and 1972, 804 286 twenty-year-olds registered for national service and 63 735 national servicemen served in the Army.12. During the 1972 election campaign the Australian Labor Party promised that 'all men imprisoned under the National Service Act will be released, pending prosecutions discontinued and existing convictions expunged'. Within a few days of winning office in early December the new Minister for Labour and National Service, Lance Barnard, suspended the operation of the scheme by administrative action, cancelling the call-up of approximately 2200 men who had been medically examined and deferring the liability of all men who had enlisted for service. National servicemen already in the Army who did not wish to continue their service were released as quickly as possible. Prosecutions and pending prosecutions were dropped. Young men who had taken up the option of part-time military service in the Citizen Military Forces were able to be discharged at their own request. National servicemen who opted to complete their term of service were entitled to the same benefits as before. In June 1973 the Whitlam Government passed the National Service Termination Act, giving legislative effect to Barnard's administrative action. The Government also intended to repeal the National Service Act itself as soon as possible, but felt constrained to wait until national servicemen who continued to serve under the Act had completed their service and received all the benefits to which they were entitled under the Act. This state of affairs did not come about before the dismissal of the Whitlam Government on 11 November 1975. Men included in the ballot who were born in the period 1 January 1945 to 30 June 1945. Men included in the ballot who were born in the period 1 July 1945 to 31 December 1945. Men included in the ballot who were born prior to 1 July 1945 but were absent from Australia when their age group was required to register. Men included in the ballot who were born in the period 1 January 1946 to 30 June 1946. Men included in the ballot who were born prior to 1 January 1946 but were absent from Australia when their age group was required to register. Men included in the ballot who were born in the period 1 July 1946 to 31 December 1946. Men included in the ballot who were born prior to 1 July 1946 but were absent from Australia when their age group was required to register. Men included in the ballot who were born in the period 1 January 1947 to 30 June 1947. Men included in the ballot who were born prior to 1 January 1947 but were absent from Australia when their age group was required to register. Men included in the ballot who were born in the period 1 July 1947 to 31 December 1947. Men included in the ballot who were born prior to 1 July 1947 but were absent from Australia when their age group was required to register. Men included in the ballot who were born in the period 1 January 1948 to 30 June 1948. Men included in the ballot who were born prior to 1 January 1948 but were absent from Australia when their age group was required to register. Men included in the ballot who were born in the period 1 July 1948 to 31 December 1948. Men included in the ballot who were born prior to 1 July 1948 but were absent from Australia when their age group was required to register. Men included in the ballot who were born in the period 1 January 1949 to 30 June 1949. Men included in the ballot who were born prior to 1 January 1949 but were absent from Australia when their age group was required to register. Men included in the ballot who were born in the period 1 July 1949 to 31 December 1949. Men included in the ballot who were born prior to 1 July 1949 but were absent from Australia when their age group was required to register. Men included in the ballot who were born in the period 1 January 1950 to 30 June 1950. Men included in the ballot who were born prior to 1 January 1950 but were absent from Australia when their age group was required to register. Men included in the ballot who were born in the period 1 July 1950 to 31 December 1950. Men included in the ballot who were born prior to 1 July 1950 but were absent from Australia when their age group was required to register. Men included in the ballot who were born in the period 1 January 1951 to30 June 1951. Men included in the ballot who were born prior to 1 January 1951 but were absent from Australia when their age group was required to register. Men included in the ballot who were born in the period 1 July 1951 to 31 December 1951. Men included in the ballot who were born prior to 1 July 1951 but were absent from Australia when their age group was required to register. Men included in the ballot who were born in the period 1 January 1952 to 30 June 1952. Men included in the ballot who were born prior to 1 January 1952 but were absent from Australia when their age group was required to register. Men included in the ballot who were born in the period 1 July 1952 to 31 December 1952. Men included in the ballot who were born prior to 1 July 1952 but were absent from Australia when their age group was required to register. The Anzac Centenary Programme commenced on 4 August with the 100th anniversary of the First World War. The National Programme for the Anzac Centenary has three themes – education and research, commemorations, and arts and culture. Anzac Centenary projects are progressing in a timely manner. The National Anzac Centre on Mt Adelaide, Albany was completed on schedule and was dedicated by both the Australian and New Zealand Prime Ministers and the Premier of WA on 1 November 2014, during the ACCE weekend of 31 October - 2 November 2014. The whole ACCE program was very successful and a fitting curtain raiser to the Anzac Centenary period. · The Online Education and Community Awareness Portal - the Anzac Portal - is an Anzac Centenary initiative which was launched by the Minister for Veterans’ Affairs at Parliament House in December 2014. · The Anzac portal is a new responsive website, accessible on smart phones, tablets, laptops and desktop computer systems. · The portal provides the education, veteran and wider communities with a range of information, resources, and links to relevant websites for the Anzac Centenary. The portal will feature DVA’s existing catalogue of curriculum-linked, award winning education resources. An Apple and Android App providing a comprehensive listing of memorials and commemorative websites from around Australia with education investigations for school children. Research guides and links to the Australian War Memorial, National Archives of Australia and other national institutes for people wanting to research their relatives’ service. DVA is currently progressing talks with State/Territory governments to enhance this awareness via a postcode/suburb searchable map plotting commemorative events around Australia. International First World War centenary websites so the public is aware of commemorative events and programmes occurring in the United Kingdom, France, Belgium, Canada and the United States. This project will conclude at the end of this financial year. In the lead up to Anzac Day a number of activities will occur including the completion of the check survey (re cathodic protection system and navigation buoy), a closing conference to be held in Istanbul, a plaque unveiling at Kabatepe and a Commemorative service wreath laying over the wreck (RAN led). The Australian National Maritime Museum will be the Australian Government entity responsible for the AE2. The Minister attended an international history conference hosted by theAustralian War Memorial and Australian National University on 18-20 March 2015. The conference positioned Australia at the forefront of international research on the Gallipoli campaign. The Australian Government’s Anzac Centenary Local Grants Program assists and encourages communities across Australia to undertake their own Anzac Centenary projects that commemorate the service and sacrifice of Australian servicemen and women in the First World War. The Anzac Centenary Local Grants Program provided funding of up to $125,000 to each Federal Member of Parliament (MP) to support projects in their electorate commemorating the First World War. The closing date for applications was 30 May 2014. 1,790 applications were received from right across the country. These applications were submitted by community and ex‑service organisations, schools and other educational institutions, museums and cultural institutions, local government authorities and non-profit community organisations. Decisions have now been made on all applications, with 1,649 grants totalling $16.7 million (ex GST) across 150 electorates approved. As at 16 March 2015, less than 250 of the 3,862 double pass offers remain to be accepted for the Gallipoli Ballot. Those offers that are declined will continued to be re-issued to the next person on the wait list in the same category they were originally offered. The wait list will operate until 31 March 2015. Individuals who declined their offer have done so for a range of reasons, including an increased awareness of the physical challenges of attending the services, the cost of the trip and changes to their personal circumstances. A further 60 double passes were released to Australians on the wait list thanks to the generosity of the Turkish Government which handed back 150 of the 250 places originally reserved for official guests, providing an additional 60 double passes for Australians and 15 double passes for New Zealanders. An additional two double passes were released to Australians on the wait list following the return of four single student passes from the Tasmanian government. 23 July – Battle of Pozieres. 26 September – Third Battle of Ypres - Battle of Polygon Wood, Buttes New British Cemetery. There is a lot of interest from Australian descendants wishing to attend Centenary services. Also a great deal of interest from locals, so we are currently liaising with the Mayors and planning committees of the local towns. The National Archives of Australia’s website Discovering Anzacs is now live and is progressing well with a substantial amount of image content uploaded by the public. The Australian National Maritime Museum’s exhibition War at Seacontinues on display at Darling Harbour in Sydney until May 2015 before it starts touring. Over $17 million has now been donated to the Anzac Centenary Public Fund. In total, some $48 million has been committed by corporate Australia and will be paid over the period of the Centenary. Corporate donors include Woodside, Commonwealth Bank of Australia, ANZ Bank and Aurizon. Donations collected in the Public Fund will be provided to State and Territory Anzac Centenary projects as a priority. In total, the States and Territories have requested approximately $72 million from the Public Fund for their iconic projects. The Public Fund Board met four times in 2014 to assess projects for funding and to make recommendations to Government. These recommendations were accepted. o $0.22 million for a single three-year Sir John Monash Anzac Centenary Scholarship. The Anzac Centenary Arts and Culture Fund Public Grants Program is a grassroots program to support local communities, organisations and artists to create their own arts and culture projects to commemorate the Anzac Centenary. Many of the projects supported through this round of the Program focus on commemoration of the Gallipoli campaign and other significant battles of the First World War. 1 - Art Gallery of South Australia: En-trenched: contemporary artists and the art of the trenches, $75,000. 2 - Big hART Inc: Samurai Digger, $50,000. 3 - Brisbane Powerhouse Foundation: Ten Percent Terror, $25,000. 4 - Perth International Arts Festival: The Giants by Royal de Luxe, $150,000. 5 - Queensland Theatre Company: Black Diggers 2015 national tour, $200,000. 6 - The Production Company (Australia) Limited: The Silver Donkey, $100,000. 8 - Victoria Opera Company Ltd: Remembrance, $45,000. A second round of grants under the Public Grants Program is expected to open for applications after Anzac Day 2015. This round will commemorate the First World War Armistice and Australia’s service and sacrifice in other conflicts during the past hundred years, with activities and projects to be delivered out to 2018. More information about the Anzac Centenary Arts and Culture Fund and a full list of recipients under the Anzac Centenary Arts and Culture Fund Public Grants Program can be found on the Ministry for the Arts website www.arts.gov.au. To help sort out the confusion that seems to reign within many associations when it comes to the wearing of Service Medals, Military Accoutrements, Return from Active Service Badge and Civilian Badges with civilian attire. While our association can’t force our members to abide with traditional protocols that apply to the wearing of Service Medals, Military Accoutrements (RASB) and Civilian Badges when in civilian attire, one would hope enough pride still exists in wearing what we were officially awarded without shopping for additional bling (bogus gongs). Medals, miniatures and military accoutrements are worn on the left breast with the top of the riband midway between the shoulder and breast pocket. Females are to wear their medals in similar fashion depending on style of dress worn. Official medals worn by the NOK of a deceased serviceman or woman are worn on the right breast. All unofficial or bogus medals such as the frontline service medal and others not issued by the Australian Government should not be worn and discouraged. Are to be worn to dinners or events such as Regimental Dining In Night or other formal association dinners that occur after 6 pm and when evening dress, dinner jacket or lounge suit or equivalent female attire is ordered or requested. No name plates, RASB, RSL or other unit badges are to be worn with medals at the above mentioned occasions. Military Accoutrements other than the ICB are not to be worn on civilian attire other than on the above mentioned occasions. The RASB was created after WW1 to help identify the wearer as an individual who has returned from active service at his work place and within the civilian community. It is usually worn on civilian attire such as suits, coats and jackets along with RSL and other badges. It is not to be worn with service medals. Name plates are usually worn at informal association gatherings to help our members in identifying each other after long absences. Name plates are not to be worn with medals at any time. Let us reclaim our pride and wear what we are entitled to and not like a tin pot wanabe,belonging to some third world country republic.